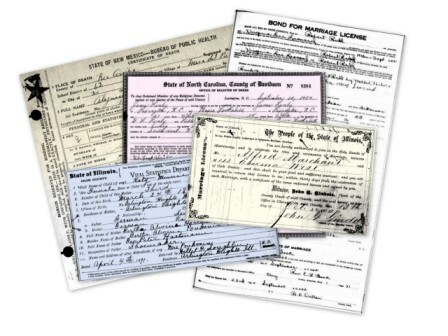 The indexes below are from the IN Marriage Files on Family Search. Use the indexes to find names of interest. Then access the link above. There are a lot of differences between the names on the indexes and the actual documents. Check the Family Search Link: 1811 > 1959 for more. "Born in Clay County, IN"
This index was created from database on Ancestry. More will be added as they are contributed.